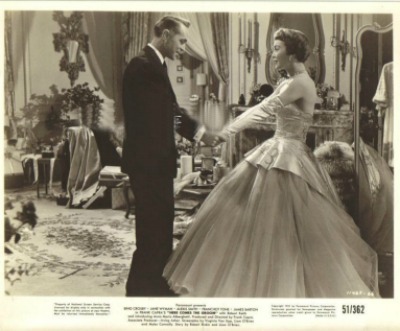 Starring Bing Crosby and Jane Wyman, the musical comedy "Here Comes the Groom" was released by Paramount Pictures on September 20, 1951. The film was directed by Frank Capra and tells the story of a foreign correspondent (Crosby) who has five days to win back his former fiancee (Wyman) or he will lose the sibling orphans he has adopted. 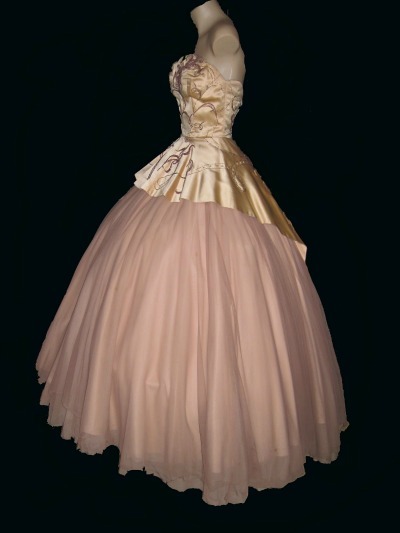 This pink silk and lace ballgown with heavily beaded bodice was designed by Edith Head.